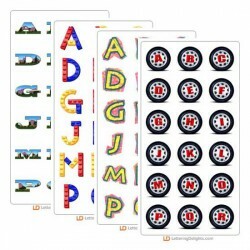 The April 2005 Alphabet Bundle includes the following alphabets: Home on the Range, Lego Land, Marve.. 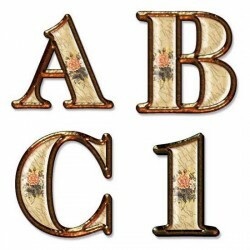 The letters of this alphabet have a antique "cracked" look about them. They look like old wallpaper .. 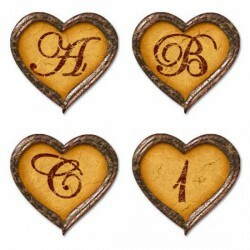 This antique hearts alphabets is perfect to represent a 50th wedding anniversary. It's a classic!.. 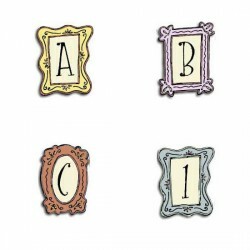 This Jillustration font has the whimsical style you have come to expect but compacted into fanciful .. The chips are on the table, it's your call. 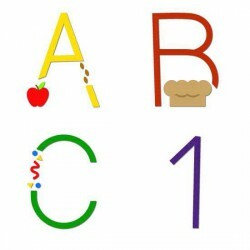 This fun alphabet has the letters of the alphabet on the.. 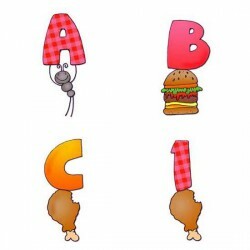 This fun-filled Jillustration alphabet not only has picnic essentials, but the accompanying ants as .. 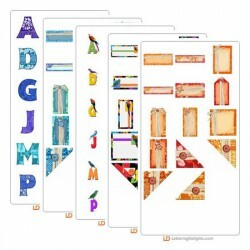 The Another Day in Paradise Bundle includes five alphabets with matching Journaling Delight sets. It.. 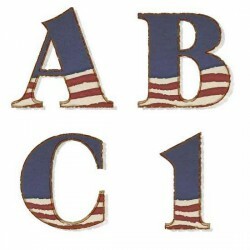 This classic alphabet would be perfect for a 50th golden wedding anniversary invitation. It is circl.. 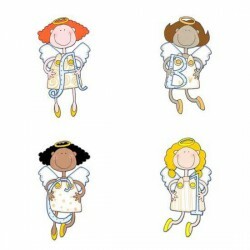 This cute alphabet is made up of adorable angels. Each is complete with wings and a halo. They are .. 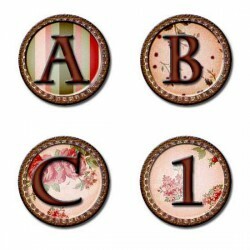 Crafty country angels are the focus of this bundle of alphabets, journaling embellishments, and true.. 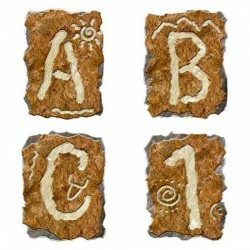 This alphabet looks like the ancient art of petroglyphs. It's on a dark brown background. 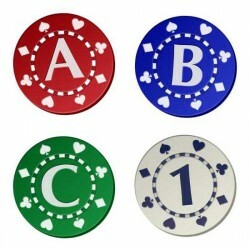 You will l..
Each letter in this Alphabet has a different character. The graphic corresponds to that letter. It .. This incredible alphabet shows a different face for each letter of the alphabet. 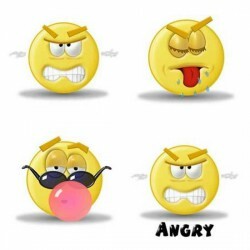 The face correspond..
Aloha! 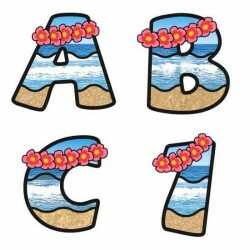 This hawaiian style alphabet is perfect for a paradise layout. Sit back and enjoy the sound o.. It's time to strike up the band! 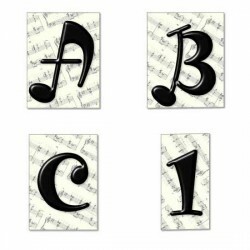 This alphabet is in the shape of notes on a sheet of music. It's gr..